What happens when frustrated and ambitious residents take over the town council and begin running things in a radically different way? EcoHustler has relocated to Frome working out of the collaborative work space the Welsh Mill Hub - run by Edventure Frome. If you are in the area - get in touch - and come and say hello. Frome is an incredible place with some very inspiring local projects. Check out these podcasts to find out more. What happens when a group of frustrated and ambitious residents take over their town council and begin running things in a radically different way? What kinds of new economics and politics begin to emerge? And what happens to those who feel like they don't belong to this new movement? What are the scars left from thirty years of closing factories and cutting services? How do these scars reveal themselves in our hearts and in our communities? Is it possible to bridge the economic, social, and psychological divides that carve up our societies? If it's possible, then how do we do it? 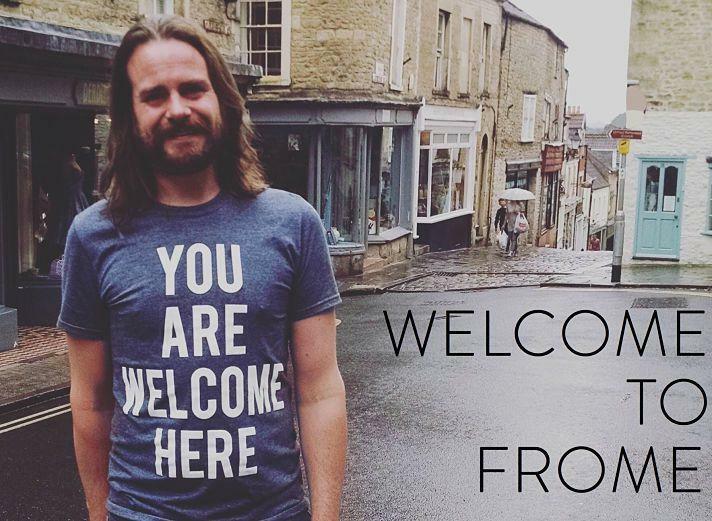 In this first episode of our 3-part series, "Welcome to Frome", we explore how the small Somerset town of Frome started a revolution that has completely changed the nature of politics and economics. In this episode, you'll meet the head of this radical new movement, and visit some of the new economics initiatives that have emerged in Frome. What is a "Share Shop?" How about a community fridge? What happens when a town council creates a position designed to address climate change? Listen to find out and to enjoy some great music along the way. But the story of Frome, like most things in life, is not as simple as it may appear. This town has a long and at times dark history, and when parts of that history are uncovered, old wounds are revealed which tell a different story, a story of division. We'll touch on this history here before we dive much deeper into it in Episode 2. In this second episode of our 3-part series, "Welcome to Frome", we explore the darker history of the small Somerset town of Frome. In this episode, you'll meet more Frome residents, more politicians, local historians, experts in the field of inequality, and a filmmaker. We'll tackle some timely topics and ask some difficult questions. What are the scars left from thirty years of closing factories and cutting government services? How do these scars reveal themselves in our hearts and in our communities? Is it possible to bridge the economic, social, and psychological divides that carve up our societies? If it's possible, then how do we do it? In this final episode of our 3-part series, "Welcome to Frome", we explore possible futures for the small Somerset town of Frome. In this episode, we'll talk to some of the leading experts on why GDP and economic growth are flawed measures of wellbeing. Then we’ll travel to a small kingdom in south Asia, an indigenous village in the sierras of Peru, and the headquarters of Happy City in Bristol. We'll talk to the visionaries of new cultural paradigms. and ask them to reveal the secrets of happiness and wellbeing that are hidden right beneath our noses. How can Frome adopt a wellbeing strategy that helps to further the movements we discussed in episode 1 and which begins to bridge the divides we explored in episode 2? There's no simple solution, but we hope that this series will provide some food for thought in towns and cities like Frome all over the world.